For any sash windows that operate with a sliding mechanism, we have a wide selection of Sash Pulleys. These products are best suited to windows that use a traditional rise and fall system of operation. All of our designs have been manufactured by the Carlisle Brothers and come with a 10-year mechanical guarantee. If you require a simple and effective method to fasten your sash windows then we have a wide range of high-quality Casement Fasteners. 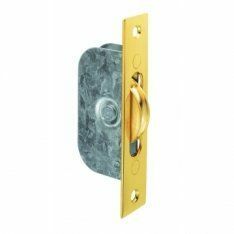 We offer a selection of finishes which include chrome and brass. In order to regulate how far you want your sash windows to be open, we would recommend installing any of our Casement Stays. This will give you various options as to how far open you want to have your windows. Sash windows could prove to be hazardous unless they have been equipped with a Jackloc Window Restrictor. These designs allow you to keep windows opened at a certain distance. This is especially important for windows that are situated on the higher levels of buildings. We also have a selection of Sash Lifts & Handles to provide a smooth and simple method of operation for any sash windows. Having these in place will make the process of opening and closing windows far easier. If you are looking for a traditional method to fasten any sash windows, then we have a range of Sash Fasteners. These designs are the perfect way to ensure windows can be locked and fastened effectively, without compromising much space. On our Sash Stops page, we have the 19mm Roller Sash Stop. This design serves as a solid brass socket screw. The product is part of the Fulton & Bray range and has been manufactured by Zoo Hardware. In order to maintain a suitable amount of balance for your sash windows, you should definitely consider a Sash Cord. They are guaranteed to help sustain a consistent level of weight distribution to make operation far smoother. This can be further strengthened by installing the required amount Sash Weights in accordance with the size of your window’s structure. Fan Light Catches are another simple and effective method to fasten windows. They use a spring mechanism and are mostly suited for bottom hung casement windows. They can also be used for doors and any cabinets around the house. Finally, we have Fanlight Stays which prevent windows from being opened to a certain distance. This is highly prevalent within buildings where space is at a premium.